Ken took care of feeding our hungry little crew with pasties (pron: past-ees). The delicious meat turnovers are favorites of both Welsh and Cornish immigrants to Wisconsin. To anyone who spent their 70’s in Madison pasties are also known as teddywedgers. As we downed the hearty lunch the discussion turned to ancestry and toppings – ketchup, gravy or bare! 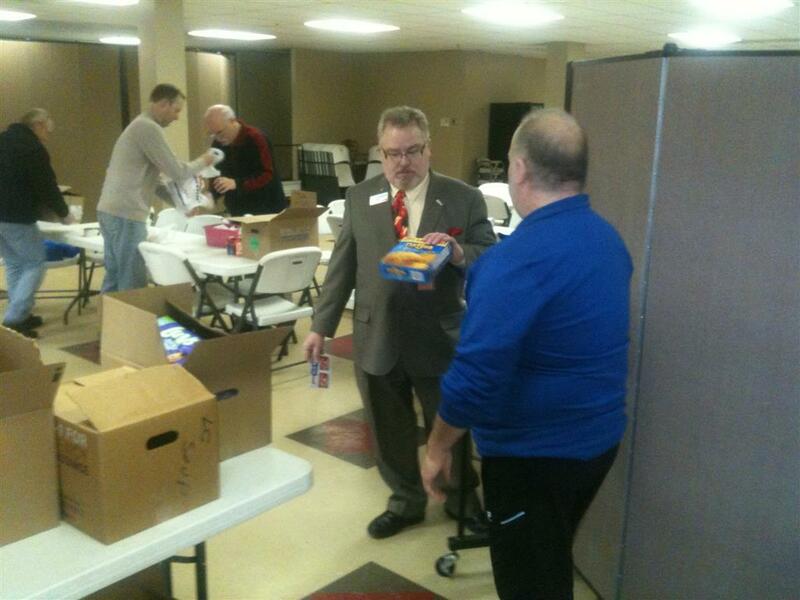 After our meal we began the business of the day – sorting donations to the Salvation Army food pantry. 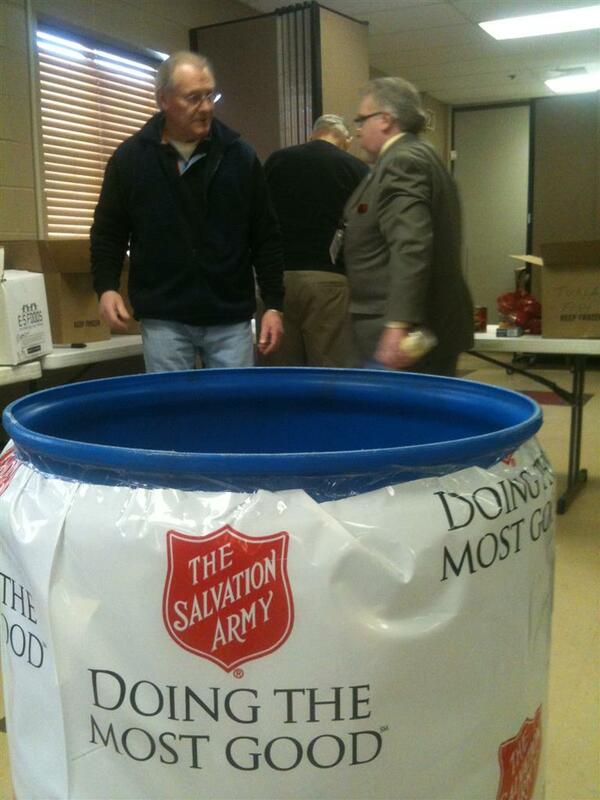 We managed to shelve, by my count, six donation barrels in the 50 minutes we were able to devote to the task. Others assisted with getting the kettles ready for belling ringing in November. 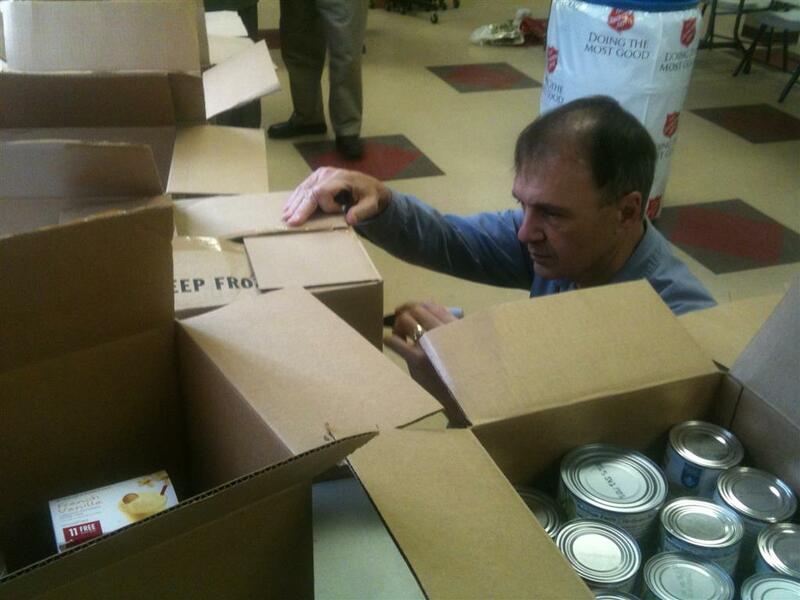 The Salvation Army Food Pantry, a joint project with Hunger Task Force, provides an important community service. The volunteers who run the pantry serve an average of 485 people per month. The pantry is open Wednesday and Thursday each week 9 am until 12 pm. 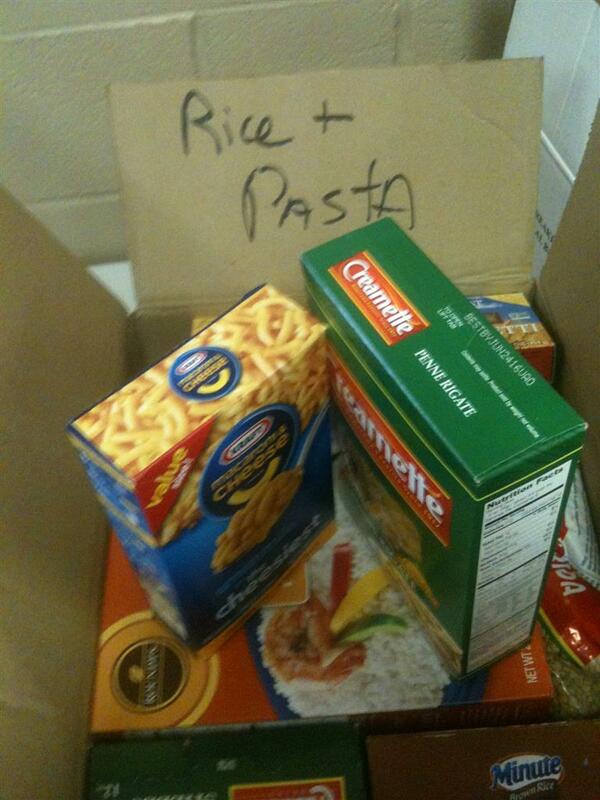 Keeping the pantry full relies on local donations and food drives. The pantry serves many of the same communities as our club: Oak Creek, Franklin, Cudahy, South Milwaukee and St. Francis in addition to Hales Corners, Greenfield, Bay View, Caledonia and Milwaukee’s south side. 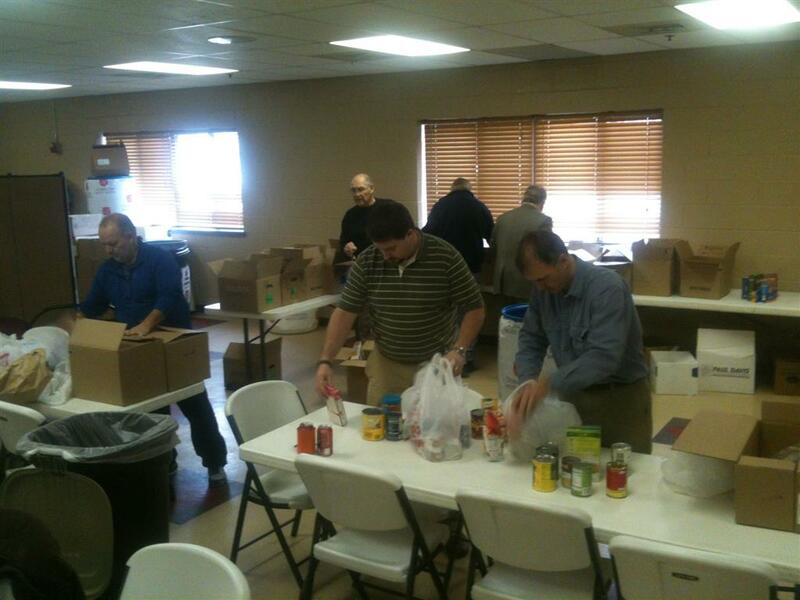 Working for the Salvation Army pantry was a great “hands-on” experience. The Army’s food pantry is a worthy target for our efforts and we left with a feeling of having done something worthwhile.